Come see us at Cabela’s for a week filled with Easter fun and to meet the Easter Bunny! 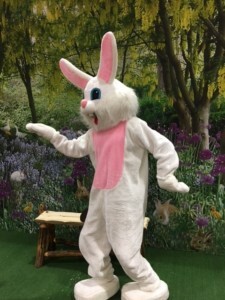 Customers will have the opportunity to have their photo taken with the Easter Bunny and receive 1 FREE 4×6 photo per family. Also, customers that share their email at the photo station during the Easter Event will receive a shareable link to an Easter Video Card. Saturday, April 20th beginning at 2pm and will typically last an hour. Suggested ages: 2 -10 year olds. Each kid needs to be signed in at our welcome table to receive an Easter bag to collect 5 different color eggs from 5 different departments. After retrieving their eggs they will need to return to the welcome table to return the eggs and collect their Easter candy.